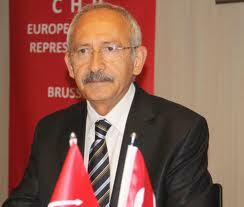 The reason why President Recep Tayyip Erdoğan is so insistent on shifting Turkey to a presidential system of governance is because he is afraid of being prosecuted and therefore wants to “secure his own future,” main opposition Republican People’s Party (CHP) head Kemal Kılıçdaroğlu has said. “He is afraid of being tried. He knows that if he and his family are prosecuted, he will be convicted. Everybody knows this. Even his closest circle knows this. So he wants to secure his own future. He cares about his own future more than the people’s future,” said Kılıçdaroğlu in a Feb. 1 interview with German broadcaster Deutsche Welle’s Turkish service. “The most successful leader is the one who makes others feel the need for him the least,” the CHP head said, adding that competent institutions should carry out the state’s duties rather than individuals. “If you take all the power, this means you break down this structure. You only create an environment of chaos. No sensible person would want so much responsibility. All Erdoğan cares about is the thought: ‘What if I get prosecuted one day?’ His whole strategy is founded on this,” said Kılıçdaroğlu, referring to President Recep Tayyip Erdoğan. He described the constitutional amendments set to be taken to the people in a referendum in April as a “regime change,” arguing that if such excessive responsibilities are handed over to the president a “totalitarian presidential system” will emerge. “This is called a regime change,” said Kılıçdaroğlu. Meanwhile, the CHP has decided to accelerate its preparations for the “no” campaign in the upcoming referendum. With four party deputies in particular – Deniz Baykal, Haluk Koç, Gürsel Tekin and Muharrem İnce – set to join campaigns throughout the country to promote a “no” vote for the charter amendments. The party has also stated its intention to employ a “supra-party rhetoric” in its referendum campaign. Gallery | This entry was posted in Uncategorized and tagged chp, kemal kilicdaroglu. Bookmark the permalink.